Sony stores across the US have been slashing the price of the 3G PS Vita down to $199.97. The 3G bundle's even include an 8GB memory card and a free PSN game of your choice. 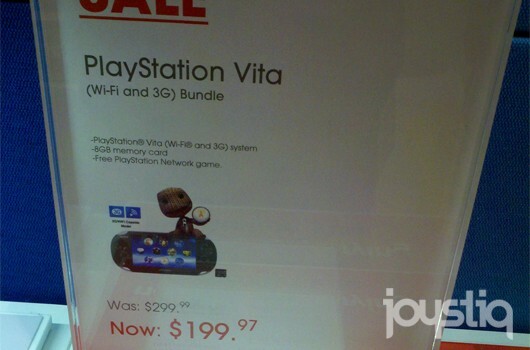 The image above was taken by Joystiq in an LA Century Store. 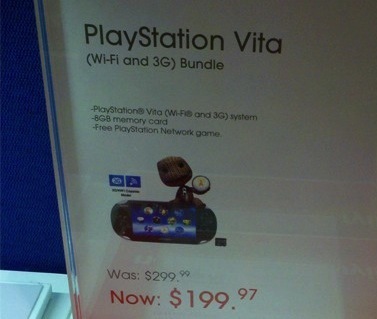 An employee in a Denver store said that the price drop is permanent due to a discontinuation of the 3G PS Vita. So does this confirm a US price drop? Let us know your thoughts in the comments below!